New Jersey Appliance Removal New Jersey, Appliance Pickup & Disposal CALL TODAY 973 336 8083 NJ Appliance Clean Out Removal Refrigerators, Microwaves, Washing Machines, Dryers, Refrigerators, Vaccuums, etc.. If you’ve ever tried to move a refrigerator or stove, you know it’s a difficult job without help. Aside from the heavy lifting dangers associated with trying to clean out heavy appliances, improper disposal can also harm the environment. Many old homes hold contain ozone-depleting chemicals that disperse into the air when left to break down in a landfill. Taking the proper steps to handle your appliance removal responsibly not only preserves your back health, but the health of the environment, too. At JunkDoctorsNJ, we’re experts in responsible appliance disposal. 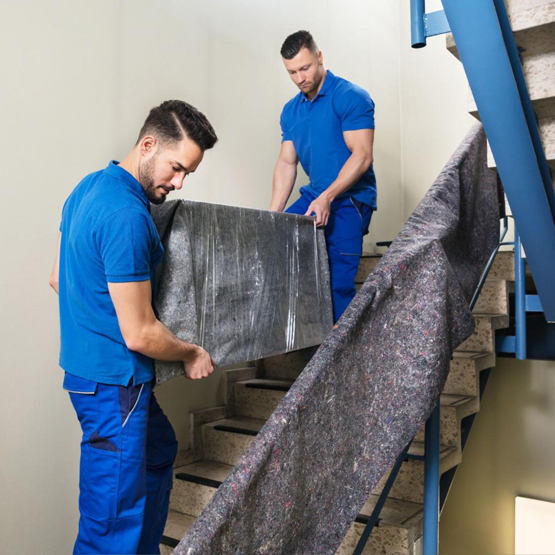 We’ve got the inside scoop on proper recycling practices, and the equipment necessary to safely remove your old appliances without you having to damage your back, or your home. And if your old appliance still works, JunkDoctorsNJ will donate it to charity. 2. Our friendly team will call you 15-30 minutes before your scheduled appointment window. 3. When we arrive, just point to the appliance you want to be removed and JunkDoctorsNJ will provide you with an up-front, all-inclusive price. 4. Once you say the word, JunkDoctorsNJ will clean out your appliances away from wherever it’s located and finish by tidying up the area. Plus, we will recycle and donate your old appliances whenever possible. Do you only have 1 appliance to get rid of? - Ask us about our single item pricing! When you choose JunkDoctorsNJ, you can feel good knowing we do all we can to divert or recycle your appliances; And the best part is you won't have to lift a finger! Most household appliances can be recycled. Larger appliances like fridges, washing and drying machines, or ovens are often broken down and used as scrap metal. The metal is then recycled by being separated, then melted down and reused in manufacturing. For larger items, you’ll often need to transport them to the transfer station or recycling center on your own, since many local household recycling programs aren’t equipped to handle large item pickup. If you’ve got larger items or a few smaller appliances that you need to get rid of, call 973-336-8083. JunkDoctorsNJ will remove all your appliances and any other unwanted junk for you—you won’t have to lift a finger. We work with local charities and recycling facilities to ensure your items are donated or recycled where possible. How do I Dispose of Old Appliances in New Jersey? Of course, you can always call 973-336-8083 when you need to get rid of old appliances. JunkDoctorsNJ will take care of everything for you—JunkDoctorsNJ will pick up your items right from where they are, load them into our trucks, and ensure they get donated, recycled, or properly disposed of. How Do I Get Rid of an Old and/or Broken Fridge in New Jersey? If your fridge is broken, it will need to be recycled. Research your local area to find out where you’ll need to drop off your fridge for proper recycling. If you can’t drop it off on your own, or simply just don’t have the time, let JunkDoctorsNJ handle it for you. We make it easy to get rid of your old fridge—JunkDoctorsNJ will do all the heavy lifting for you, and JunkDoctorsNJ will make sure it gets to the right place for proper disposal. At JunkDoctorsNJ, we’re happy to help you get rid of any unwanted small appliances. JunkDoctorsNJ will pick up the items for you and ensure they get recycled and properly disposed of. If you need a hand getting your microwave or other unwanted junk recycled, call 973-336-8083. We’re local appliance removal experts in New Jersey and will quickly get that junk out of your way. When you work with us, you can rest assured that all your items will be donated, recycled, or properly disposed of. "The men were nice and very hard working. They were finished quickly and were professionals about the clean up..."